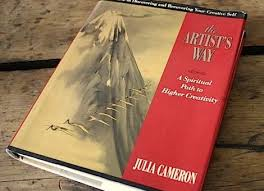 Morning pages is an exercise from Julia Cameron’s ‘The Artist’s Way’. As soon as you get out of bed, after putting the dog out, feeding the cat and putting the coffee pot on, write three pages; don't think about it, just write. There is no right or wrong way to do morning pages and it is just for yourself. ​For me, it generates flow between feelings, words framed as thoughts, carried to the fingers​, which write. I use this exercise as a warm up to develop fluency between feeling, thought and words. It has become my scales and arpeggios. Write whatever comes into your head. Capture all the unconscious thoughts, ideas and dreams which you didn’t even know were there and which evaporate as the morning dawns and life gets in the way.